I don't know about you, but when I think about Valentine's Day, the first thing that pops into my mind is food. Love? Pah! Fresh coffee and pastries? Three course meals? Chocolates? Biscuits? That's more like it! 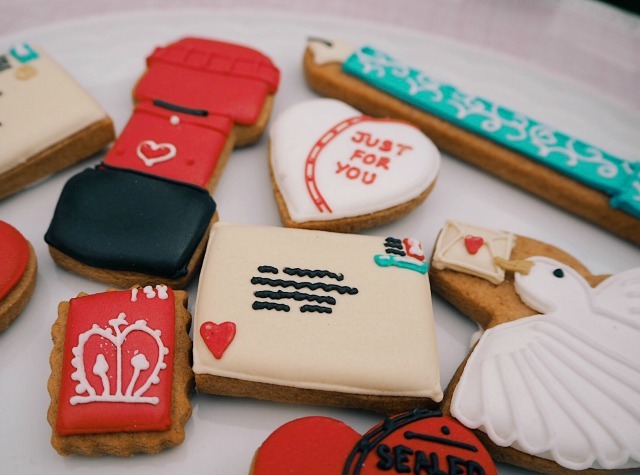 I might not have any secret admirers, but I do have some lovely friends over at Biscuiteers who were thoughtful enough to send me over a box of their deliciously quirky personalised vintage love letter biscuits for Valentine's Day. If you've not tried Biscuiteers biscuits before, you need to know that you're MISSING OUT. Seriously. They are AMAZING. Each biscuit is completely handmade, traditionally baked and beautifully iced, and they always come perfectly presented in specially decorated boxes or tins. They have different flavours for different occasions (the Valentines collection is vanilla, yum) and something for every budget. It's become a bit of a tradition for us to give boxes to our family every Christmas and last year we got them as teacher's gifts too. They're such a lovely, thoughtful, different way to send a message to someone you care about. They even have icing cafes in Notting Hill and Battersea so if you're ever near one of them and you're feeling creative you can decorate your own (they do seriously good coffee if you're not feeling quite so creative and just fancy eating some ready made ones). 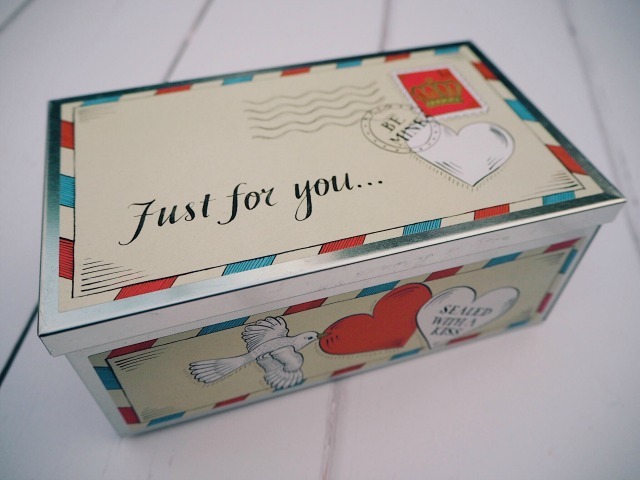 The vintage love letters tin costs £35 but prices start at just £6 for a gingerbread Romeo or Mr Darcy. 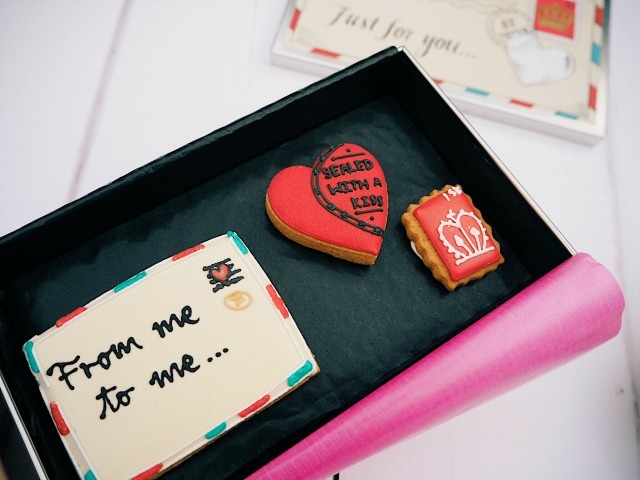 The personalised lobster biscuit box is one of my favourites at a middle-of-the-range £18 - what better way to tell someone you love them than with an edible lobster biscuit? Left treating yourself or your loved one until the last minute? 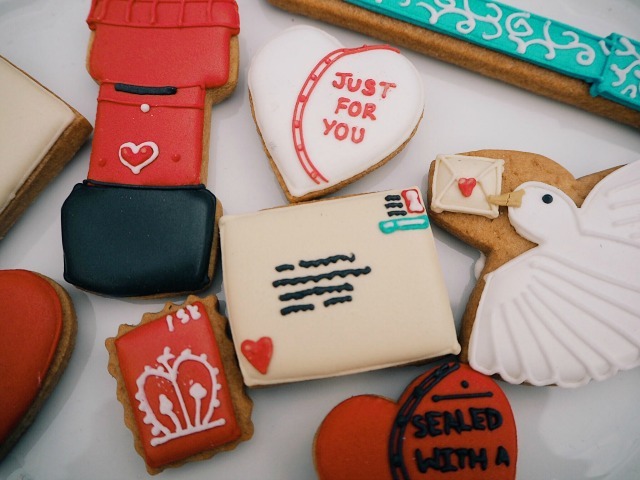 Fret not - Biscuiteers are offering free next day delivery when you order before 1pm tomorrow (Tuesday 13th). 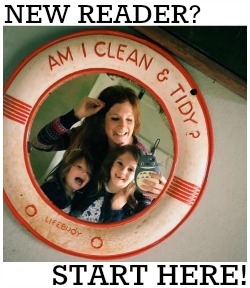 Enter code LASTMINLOVE for free Royal Mail next day delivery on orders of £20 or more.